2003, “Bandeiras do Brasil,” Curator: Martha Niklaus and Ernandes Fernandes, Museum of Republic, Rio de Janeiro, Brazil. 1997, “Republicando," Museum of Republic, Rio de Janeiro, Brazil. 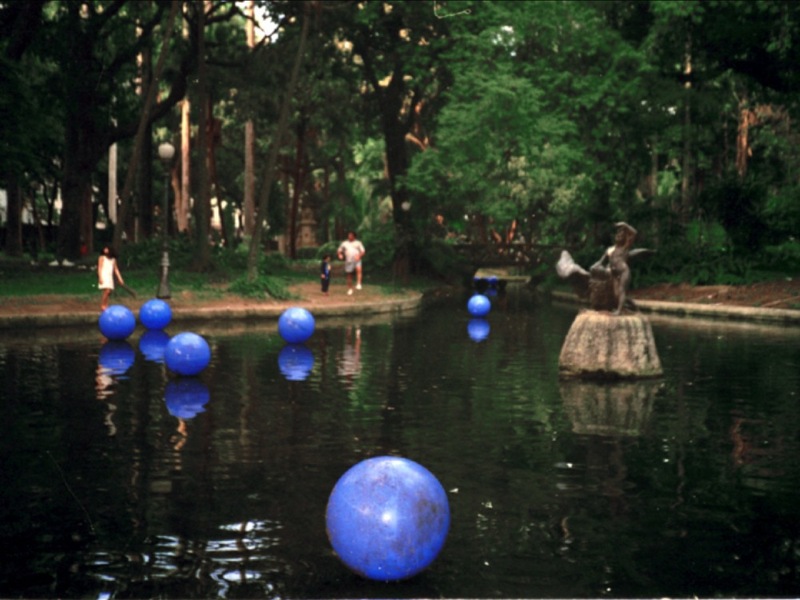 100 blue balls spread through out the gardens of the Museum of Republic, Rio. 50 had words that sound like Order, 50 had words that sound like Progress. 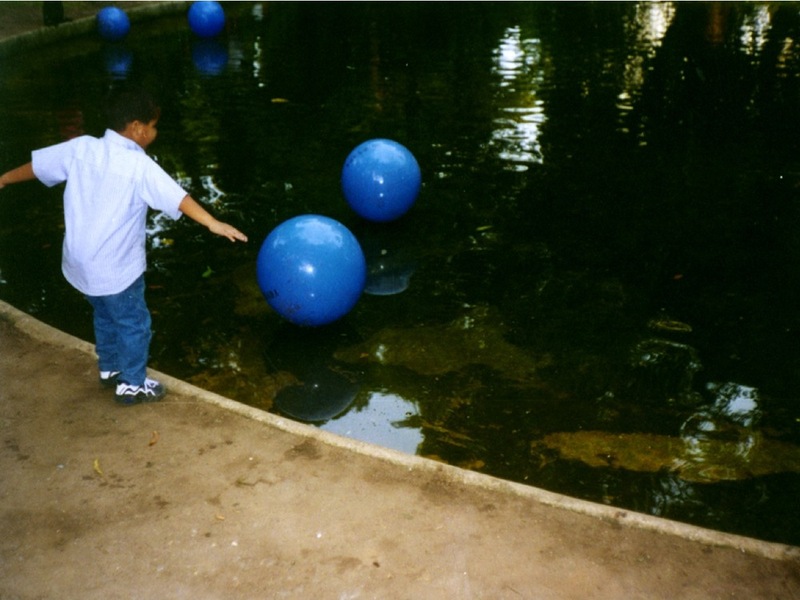 The balls were a reference to the blue globe at the center of the Brazilian flag, which is crossed by the Positivist motto Order and Progress. 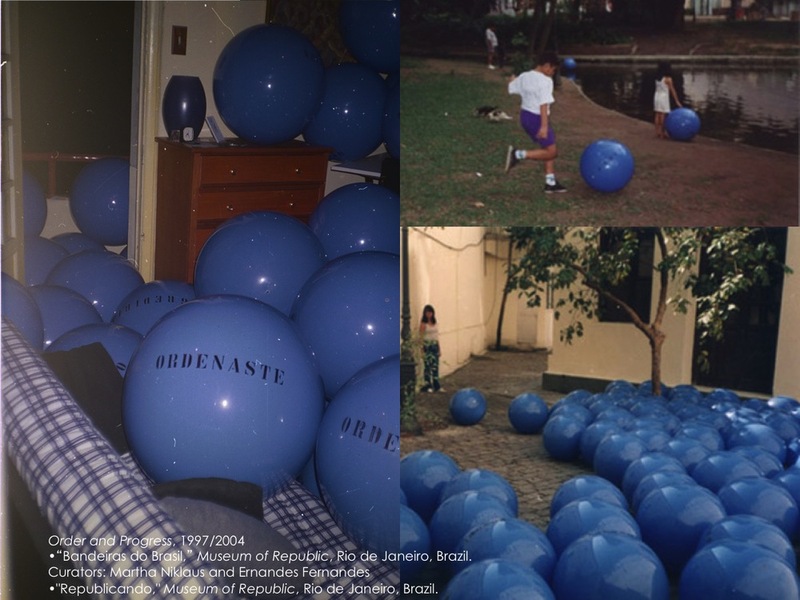 Order and Progress was a re-appropriation of the biggest visual symbol of Brazil by the people that it represents: a loving desecration by an artist that grew up under a military dictatorship.